A Research Group at King's College London in Computational Electronic Structure. and understand chemical and material systems at the most fundamental level. and feel free to get in contact with us to learn more. We have a new paper out in JCTC, detailing a novel stochastic approach to directly calculate response properties of molecular systems in a way that is systematically improvable to the exact solution. (See it here). While solving the Schrodinger equation for the ground state energy is important, experimentalists are generally more interested in the response of a system after you hit it with something - I mean this is what an experiment is after all, right?! Congratulations to Pradipta Samanta on all his hard work! We are always on the lookout for motivated people to join the group! We currently have open positions for both PhD students and Postdocs. See the How to Join page for more details about applying. Who are we, and why is what we do interesting, possibly even important?! Well have a look at the About page for a lay-person's guide to what the fuss is about in computational electronic structure, and why we do what we do. While you're at it, why not have a look at the Group page to see who 'we' all are! Our research focuses on a number of different areas of correlated electron phenomina, including molecular, solid-state and lattice problems. We see our techniques as resulting from a particularly fruitful blending of ab initio quantum chemistry and solid-state physics approaches, developing and applying techniques ranging from Monte Carlo, mean-field and machine learning, to Greens function methods. These are applied to understand and resolve unanswered questions about a wide variety of systems. See our Research page for more details on the developments in the group. We sincerly thank funding bodies for their support of this research: The Royal Society, Air Force Office of Scientific Research and the European Research Council. Often, parameterizing a system via an efficient, compact, and polynomially-complex wavefunctions is something which can be done with relative ease. However, when it comes to optimizing these parameters using the variational principle, we have no option but to resort to stochastic, Monte-Carlo techniques. This can be exceptionally difficult when you are relying on noisy estimates at each point. With a PhD student, Lauretta Schwarz, we developed an improved approach, drawing on ideas from the supervised learning of neural networks, which is now published in Physical Review Letters entitled "Projector Quantum Monte Carlo Method for Nonlinear Wave Functions". 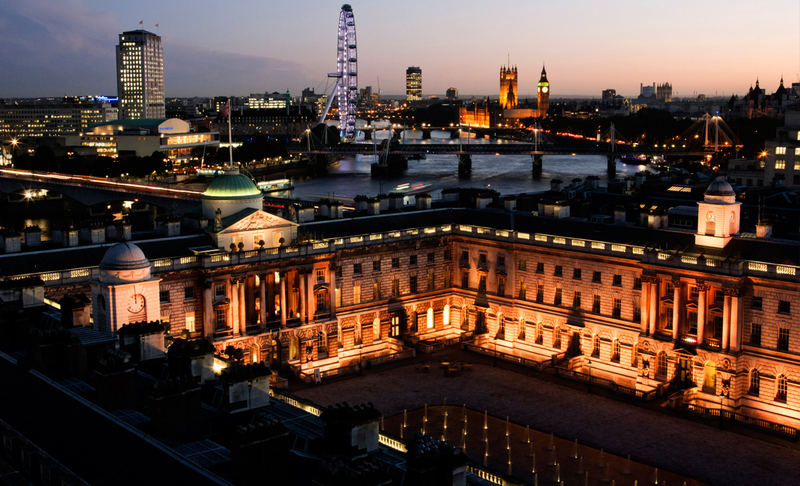 Our research group is situated right in the heart of London, in King's College London. On the Strand, next door to the famous Somerset House, and overlooking the river Thames by Waterloo bridge.